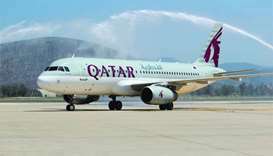 Qatar Airways’ non-stop flight arrives in Malaga, Spain on Wednesday. 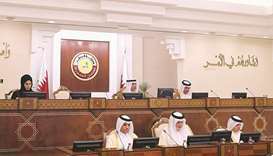 Qatar Airways’ first direct non-stop flight from Doha touched down on Wednesday at the Malaga-Costa del Sol Airport, the airline’s third Spanish gateway. 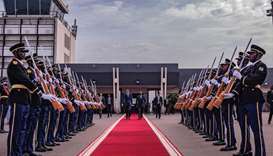 The flight was greeted by Qatar Airways country manager (Iberian Peninsula) Marimar Laveda, and Malaga airport director Salvador Merino. 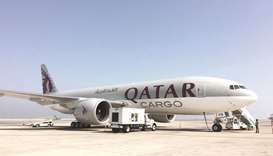 Qatar Airways’ new four-times weekly seasonal services to Malaga will be served with a Boeing 787 Dreamliner until September 16. 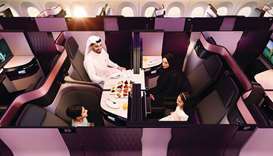 The aircraft features 22 seats in Business Class and 232 seats in Economy Class. Passengers on board will be able to enjoy the airline's superior entertainment system, Oryx One, offering up to 4,000 entertainment options to choose from. 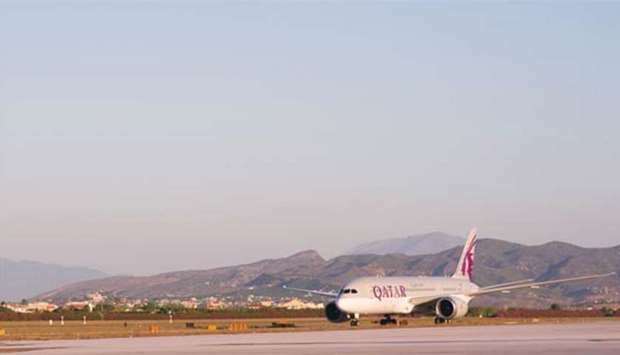 “Qatar Airways’ new direct services to Malaga are timed perfectly to coincide with the summer holiday season, allowing us to connect more visitors to this unmissable destination,” Qatar Airways Group chief executive Akbar al-Baker said. Malaga is a beautiful and cosmopolitan city nestled along Spain´s Costa del Sol in the southern Spanish region of Andalusia. 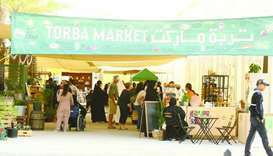 The charming coastal city is known for its magnificent climate all year round. Malaga offers a wide variety of activities for visitors to enjoy, such as exploring the historic Roman fort, basking on one of Malaga’s wonderful Mediterranean beaches or visiting one of its many museums.